It began as an innocent, good willed attempt at providing supper for my family. 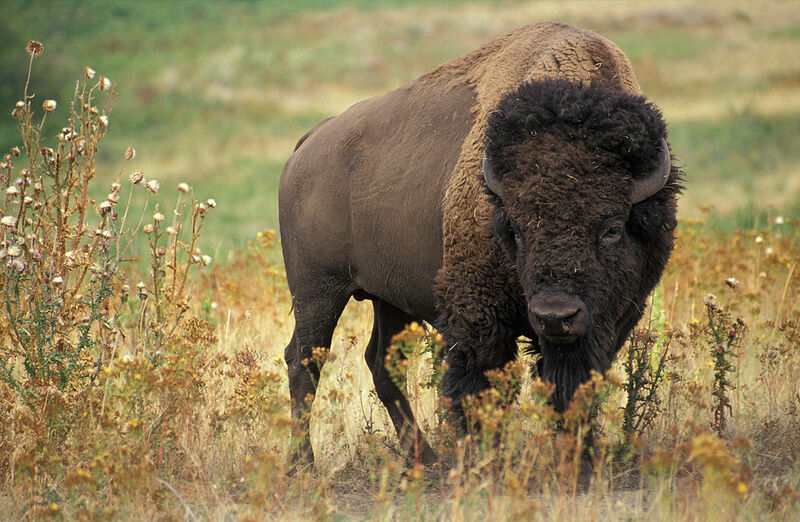 Ground bison. Presumably completely dead and with no ill intentions toward me, my hair, or my kitchen. I cooked it up around 1:00 p.m. and pushed the pot to the back burner. Little did I know that this simple act would trigger a chain of events that would lead to a Facebook status, a blog post, and an hour of kitchen rehabilitation. Around 7:00 p.m., I returned to the scene. I noticed the innocuous-looking, room-temperature bison in the pan and decided to finish the spaghetti for the next day. I put the pan on the front burner and turned the heat to medium-low. Five minutes later, I was cutting up red bell pepper and watching Criminal Minds over the kitchen bar. On the show, the unsub snuck into a man’s house, pointed a gun at him, and forced him onto the floor. The man was pleading for his life, the .40 Smith & Wesson mere inches from his head. Suddenly, BOOM! My bison exploded right on cue. A hot air bubble? A build up of hydrogen sulfide? A Satanic connection to TV reruns? We will never know. But it rocketed ground up grazing undulate from wall to wall and floor to ceiling. Bison on the bread box, bison on the microwave, bison in the water pitcher, bison on the appliances, even bison on the ceiling and light fixtures. We won’t discuss the bison in my hair. Total revenge of the bison. The incident brought to mind the Al-Qaeda attempt at online media that they made a few years back with an article called, “How to Make a Bomb in the Kitchen of Your Mom.” So here you go all you Wannabe Jihadis. Take this advice from a mom. Get yourself some bison, follow the instructions above, and be sure to put your faces down into the pans where you’ve got a good view so that you can let us know exactly how these explosions happen. What do you say, folks? Why do you think my bison exploded? Bison is the bomb! An ancient American Indian curse or some other hoo doo voodoo. LOL. You ARE an intellectual badass! It was only bison in the pan at the time, so perhaps it was close enough to homogenous. It blasted just like a mud bubble, blowing from the center and leaving enough bison around the edges of the pan to finish the spaghetti.